On The Second Day of Christmas Cookies…. It tis’ the season for Christmas Cookies! The last few years I have been baking the Twelve Days of Christmas Cookies and I thought I would share the recipes this year. There are always a few cookies I love and repeat each year- this recipe is definetly a keeper!! 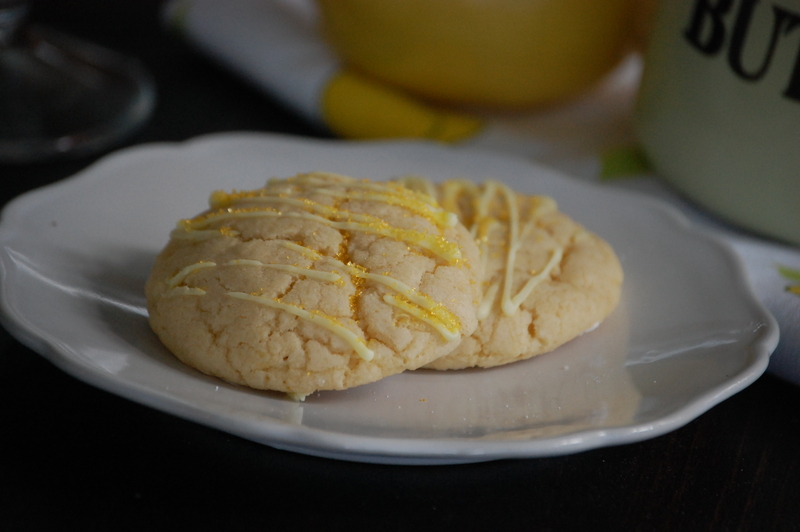 Inspired by How Sweet It Is , these just looked so mouthwatering, and I am a sucker for all things lemon! Preheat oven to 325 degrees F. Combine flour, baking soda and salt in mixing bowl and set aside. In another mixing bowl, add cooled, melted butter and add sugar, mixing until creamy. Add in egg and egg yolk, mixing to combine, and then blend in vanilla and lemon extracts, lemon juice, lemon zest and basil. Slowly stir in dry ingredients, mixing until a dough forms. Using an ice cream scoop or a tablespoon, scoop the dough into rounded balls and place on a baking sheet 2 inches apart. Bake for 14-15 minutes, or until middle is just set an edges are slightly golden. While cookies are cooling, mix glaze and add into a pastry bag with a fine tip. If you don’t have a pastry bag, put the glaze in a small ziplock and snip a tiny corner. Carefully stripe the cookies with the glaze and allow to set for 1 or 2 hours. 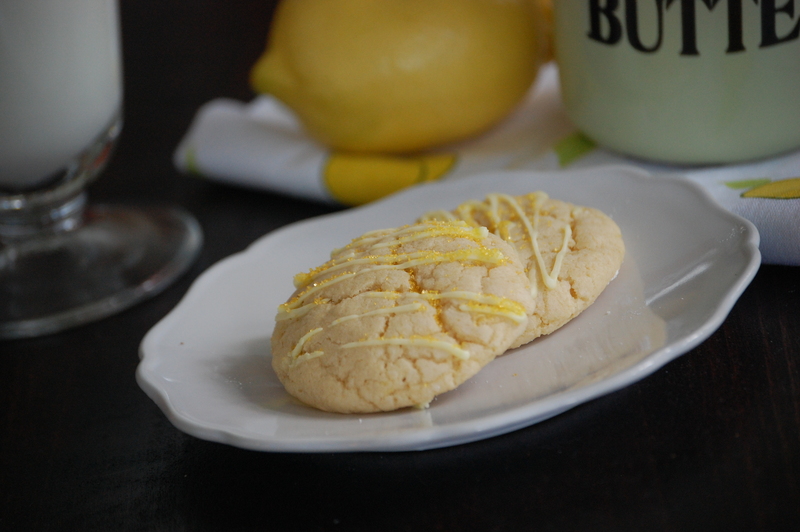 These little guys are so light and lemony! The basil flavor is an unexpected surprise! 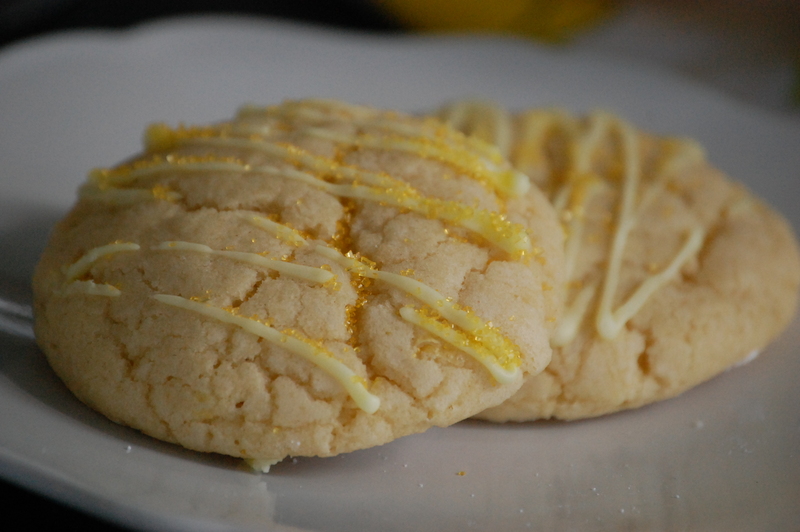 This entry was posted in Christmas, Cookies, Recipes and tagged 12 Days of Christmas Cookies, Lemon Basil Cookies. Bookmark the permalink. Man alive these are good. What’s next! Try Joanne’s or a craft shop, in the baking section! They are delicious! this is definitely interesting with the basil! i love lemon but i might have to try the lemon basil..! mmm these sound divine! I can’t wait to give these a try!